Have recurred after previous treatment and are likely to recur. The margin or edges of the tumor cannot be easily defined. Grow rapidly or are large. Mohs skin cancer surgery is an advanced technique for treating skin cancer developed by Frederic E. Mohs at the University of Wisconsin. The technique requires highly specialized training and experience. The Mohs process allows us to remove thin slices of cancerous tissue which are immediately examined under a microscope. Additional slices are taken until the entire tumor is gone. If you are a patient at Summit, Dr. Sica will be your surgeon, pathologist, and in most cases do your reconstruction if necessary. In the case of a large cancer with a large defect, Dr. Edward Ricciardelli our board certified plastic surgeon will reconstruct the area. Most surgery is performed in our office with local anesthesia injected into the area. The procedure usually lasts several hours. We recommend that you get a good night’s sleep before your surgery. Eat breakfast. It might be a long day. Take your regular medications unless we tell you otherwise. Bring something to do or read. Feel free to bring a friend or relative as company. Dr. Sica is Board Certified by the American Board of Dermatology. He is a Fellow of the American Society of Mohs Surgery. 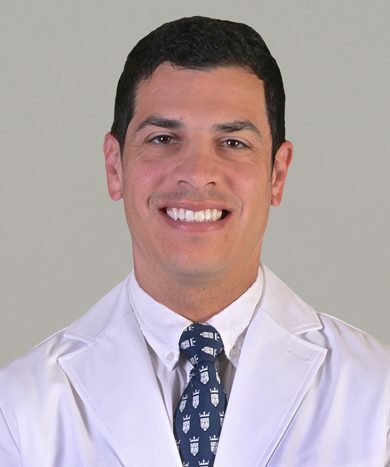 Dr. Ricciardelli is a Board Certified Plastic Surgeon. Would Mohs be good for my skin cancer treatment? Are located on a part of the body such as the nose, eye, ear, or lip where preserving cosmetic appearance and function are important. The margin or the extent of a tumor cannot be easily defined. After my biopsy, I don’t see anything. Do I really need treatment? Your skin cancer may no longer be visible on the surface after your biopsy. However, more tumor cells may remain in the skin. These can continue to grow downward and outward, like roots of a tree. If they are not removed, the tumor will likely reappear and require more extensive surgery. Tumors that are neglected can spread deeply into the skin and invade nearby structures. On rare occasions, these cancerous cells can metastasize to lymph nodes and other organs in the body. What are the advantages of having Mohs and should my surgeon be fellowship trained? A diagnosis of skin cancer can be frightening. It is important to know the facts. Not all treatments for skin cancer are the same. Mohs micrographic surgery is a process that will remove the cancer, minimize a risk of recurrence, and leave the smallest scar possible. You want your skin cancer treatment to be performed with the highest standards of quality and competency. The American College of Mohs Surgery is the only organization that requires its members to have successfully completed an extensive one year fellowship after residency. This fellowship involves hands-on experience provided by highly qualified Mohs surgeon. Our office will discuss your biopsy results and the Mohs procedure in detail and answer any concerns you might have. Our scheduler will give you a call to arrange a time for your surgery that is convenient for you. We recommend that you get a good night’s sleep and east breakfast before you arrive for your surgery. Make sure you take all your regular medications unless we tell you otherwise. Bring something to pass the time such as a book or work material. If you need a driver, we will inform you prior to the procedure. What can I expect during and after Mohs surgery? Your privacy and safety are very important to us. In most cases, Mohs surgery is performed in our office under local anesthesia. The surgery usually lasts several hours (3-5 hours average), but we ask that you be prepared to stay most of the day if necessary. To ensure your comfort, the treatment area will be numbed with local anesthesia using very tiny needles. The skin cancer is then removed and the tissue is mapped, diagrammed, and processed in our office laboratory. In the lab, the specimen is frozen and thinly sliced by a highly trained histotech for placement onto glass slides. Your surgeon will examine the slides under a microscope to determine if any cancer remains on the edges of the tissue. Any remaining cancer will be re-excised and examined under the microscope again. Once all the margins are clear, the area is typically reconstructed using sutures to help minimize scarring to ensure the best cosmetic outcome. After the surgery, you will be given detailed instructions for wound care. Most patients do not experience too much discomfort, but you may be given a prescription for a pain medicine. You will usually be seen back in the office about 1 week after surgery for suture removal. Expect to have possible bruising, swelling, and tenderness after surgery. Our door is always open for any questions. It’s about confidence: confidence in your surgeon, confidence that your individual concerns will be heard, and confidence that your skin cancer will be taken care of with the best possible result. We have the experience and reputation that ensures you are trusting in a surgeon with a known track record in the area with the qualifications and board certifications that recognize him on a regional and national level.